All companies that engage in a lot of deliveries must take driver safety extremely seriously. According to the U.S. Department of Labor, a vehicle crash happens every five seconds, an injury occurs on the roads every 10 seconds, and someone dies in a car crash every 12 minutes. Besides the risk of injury or even death to your drivers, the average crash can cost your business around $16,500. And if one of your drivers sustains an injury during an on-the-job crash, it’ll cost you as much as $74,000. And the costs can increase to more than $500,000 if a fatality occurs. This is because you have to pay for legal expenses, property damages, medical care, and the cost of lost productivity. Vehicle crashes also drive up the cost of benefits as well such as workers’ compensation, social security, along with private health and disability insurance. Add to that the cost of administering such programs, and the company overheads will only increase further. So driver safety is crucial for every field service business regardless of whether you oversee a mobile sales force, or manage a fleet of vehicles. 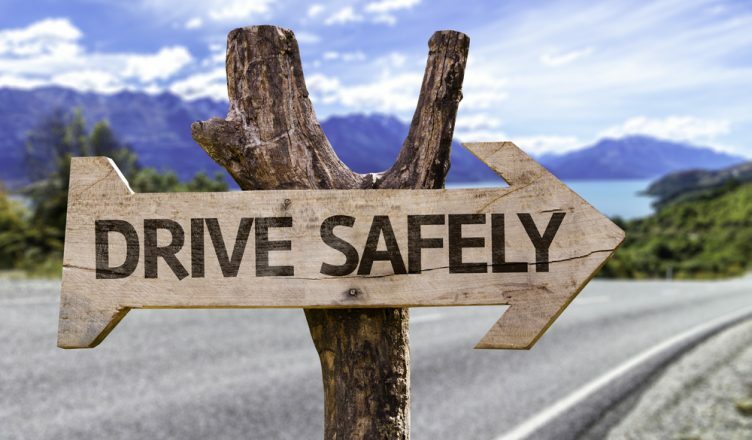 And making your drivers safe on the road should be your top priority. But how can you do that? Follow the strategies provided below. Whether you offer logistics on demand or last mile shipping, if the routes you plan are not well-optimized, your field reps or drivers will often find themselves caught up in bottlenecks and traffic delays, driving in bad weather conditions, or making left turns which waste their time and reduce their productivity. This will also create a high level of frustration that can lead to aggressive driving behavior, such as speeding, failure to signal lane changes, and tailgating. 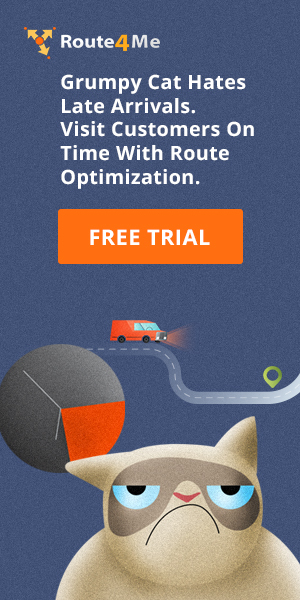 So route optimization plays a key role in ensuring driver safety, and an advanced delivery scheduling solution, such as routing and scheduling software, can help you plan well-optimized routes…and can do so within a minute! You just need to add or upload the list of customer addresses into the software, and the route planner will ensure that the route provided is accurate, and free from traffic, bad weather conditions, left turns, U-turns, or anything else that could impact negatively upon your field operations. Also, a delivery management software ensures equal distribution of workload, meaning that no field employee is overworked or underworked. This is rarely possible if you plan routes manually. This can prove particularly useful, as overworked drivers also have to cover more stops in less time, which could further lead to aggressive driving. Moreover, texting while driving to ask for directions often happens when a driver gets lost, especially due to poor route planning. So another way in which routing system software ensures driver safety is by nullifying the possibility of such behavior. With a last mile delivery app, your drivers will always get 100% accurate routes, so they never again need to pull out their phones while driving. Driving involves a lot of risk, and when it involves a long journey to a remote job site, or traversing through unstable landscapes, the job becomes even more challenging. And just imagine a vehicle breaks down in the middle of the road in such a remote area…if there is no cellular coverage then the driver will not even be able to communicate with you to ask for assistance. To offset such possibilities, you must use a GPS tracker. A car GPS tracker comes with vehicle tracking capabilities that help you monitor vehicles in real time, so you know what your drivers are up to on the road. And with the help of a commercial GPS tracker, you’ll immediately know when a vehicle is stuck on the road due to a breakdown which will help you send immediate roadside assistance. Telematics also helps in controlling aggressive driving. You can set speed alerts to be notified as soon as a driver exceeds the speed limit. This means that you can contact the field rep in real time to rectify the behavior. However, it is recommended that, instead of going for a GPS tracking device, you should opt for a map route planner that comes with last mile tracking capabilities. In this way, you don’t need to pay and manage two separate items of software, and still get the benefit of both systems in one package. Even if you communicate with your drivers in real time to rectify bad driving behavior, you still need to ensure that they never repeat the same bad habits again. Also, it’s easy to become complacent and not to consider the aftermath of your driving habits. This is why driver safety training programs can be particularly valuable, in order to instigate good working and driving practices in employees. But manually tracking and then offering training to the concerned driver has become a thing of the past. Instead, you should explore intelligent technology solutions like Safety4Me which simplify driver training. Safety4Me automatically tracks all of your drivers’ behaviors (including, hard acceleration, harsh braking and cornering, speeding, and lack of seatbelt use), and whenever it detects such bad behavior in a particular driver it automatically assigns the relevant training courses based on the rules that you set. Both the drivers and the managers are notified of the course assignments, and the courses can be completed on any laptop, tablet or mobile device. The best part is that all the training course results, such as course status and trends, are recorded, with dashboards and reports made available to managers in order to review. So how do you ensure driver safety for your field service employees? Have you explored a last mile delivery app before or are you planning to opt for one anytime soon? Do you have any questions? Please feel free to leave your comments below. Also, here are three quick questions for you to ensure that you understood how to keep your drivers safe on the road. How does Safety4Me simplify driver safety training? How can tracking the driving routes help you control aggressive driving? 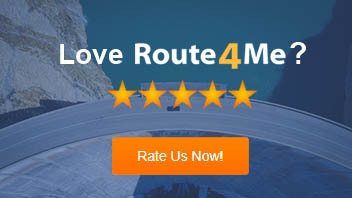 How does a multiple destination route planner help you with driver safety?